Alberto Rodrigues, publicist, illustrator and artist, born in Sao Paulo in 1962, Brazil. Since child demonstrated ability to design, trying to start advertising for expression. He was assistant to the photographer, advertising and visual artist Marco Cezar, who developed the fascination with textures, mark his first works. Also at that time experienced first-hand the work of publicity and artist Massimo Picchi, from whom he learned the subtleties of the materials, props and movement. 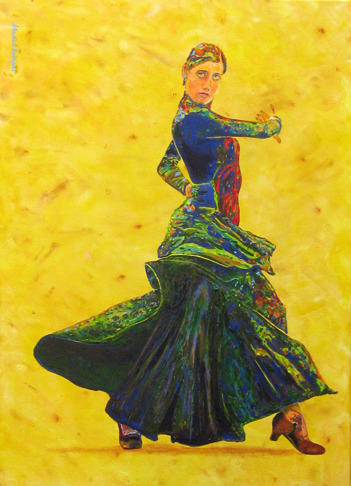 But he was rewarded with Sergio Niculitcheff who discovered the convenience and efficiency of acrylic, introducing the technique in his work. 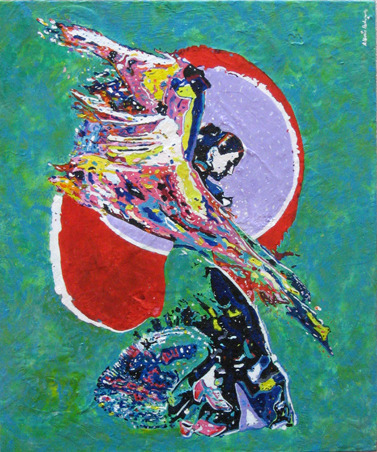 Fan of oriental painting such as Tomie Otake and Mabe, besides the Spanish classic Picasso, Miro and Dali, seeks to reproduce the subtlety, simplifying and coloring of the works of these masters. Being self-taught, is on trial with his trademark: inventing, reinventing, recycling ideas and concepts, proving that nothing is completely finished. I seek to work with images vectorization. Transform the image in digital art, but instead of using the computer as a tool, I use the paints and brush. I like working this way because it exercises my creativity and gives me a chance to produce a single artwork, not multiple copies. 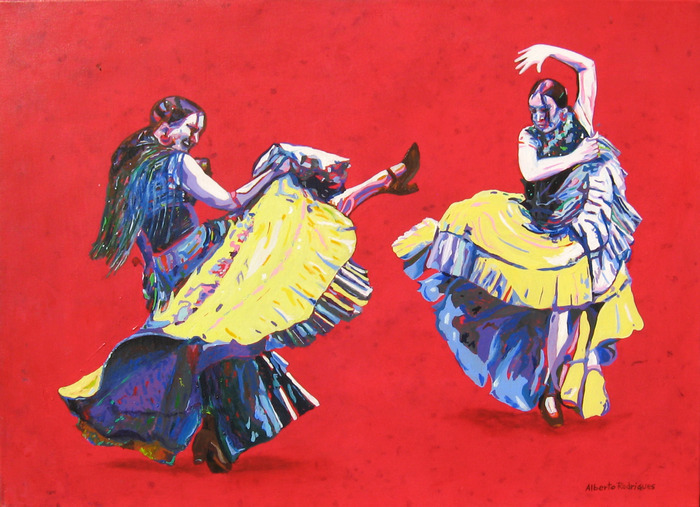 The caliente dance moves combined strong colors bring the essence of Latin blood to this canvas. Olé! 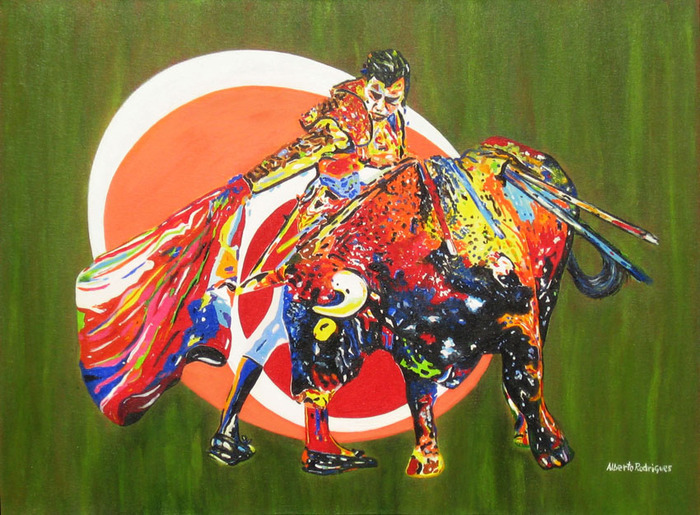 And the bull by the matador is bursting with color and movement.